Do you expect competent service – reliable and from a single source? Then you're at the right place. With us, you profit from over 40 years of experience in the Automotive Aftermarket. Top priority for us is to offer you the latest information and direct contact to our Aftermarket experts. You get complete technical services about the products and repair solutions from our LuK, INA, FAG, and Ruville brands, bundled under a single name: REPXPERT. Service with one mouse click. 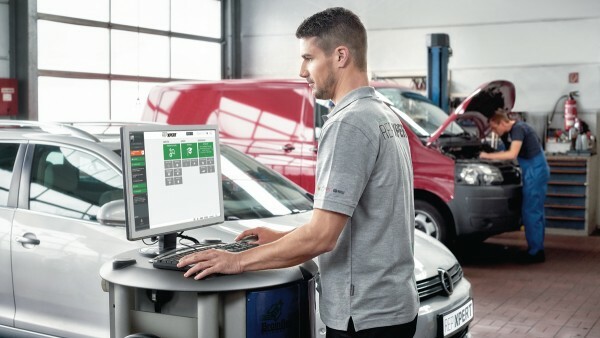 At our garage portal, you have fast and easy access to all technical services and information. Besides installation videos, service information, and technical brochures, the TecDoc online catalog with all vehicle manufacturers is also available to you here. You will also find our complete range of special tools and technical training seminars. In short, everything that you need for your daily work is here. Visit our online portal at www.repxpert.com. Did you always want to know how to save time when replacing a dry double clutch? Then attend one of the numerous technical training seminars that we offer under REPXPERT. Our highly qualified REPXPERTs show you, in theoretical and practical hands-on training sessions, everything you need to know about our products and repair solutions, and about the correct way to use our special tools. All training content at www.repxpert.com. Many repairs today can hardly be done professionally without a special tool. Our tailor-made special tools offer you an optimal solution to this. They are specially designed for your requirements in the garage. With them, installing or removing parts, or conducting damage diagnosis, is fast and easy. The entire portfolio, along with detailed information about how to use them and video instructions, we have compiled for you at www.repxpert.com. Extensive technical information is available to you at our online portal www.repxpert.com. Here you not only get manufacturer-specific repair and maintenance information (RMI) from our partner TecAlliance. Our own team of technical editors also works daily on new content – creating installation guides, technical brochures and service information. You can watch many detailed installation videos at our online portal as well. And you can find additional videos about our products and repair solutions at www.youtube.com/SchaefflerREPXPERT. Do you prefer personal contact? No problem. Just call our free technical service hotline and ask one of our experts directly on the phone. 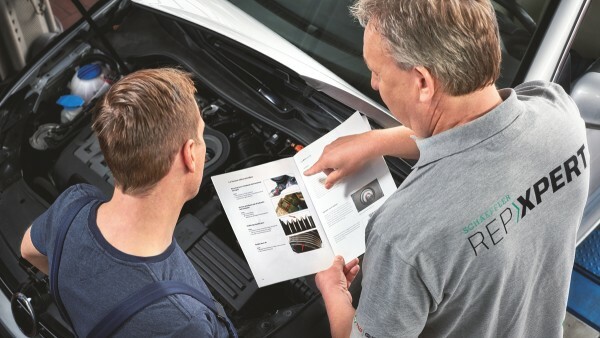 Whether it's parts identification, product availability, delivery times or assistance for professional installation – our service center staff knows everything about all product brands and segments from passenger cars, to light and heavy commercial vehicles and tractors.